In GOLD We Trust: PIVOTAL Societal Changes COMING! If you’re invested in U.S. equities right now, or are just thinking about dipping into U.S. equities, I hate to break the news to you but you’re getting in at the worst possible time in history. The lion’s share of the profits in the S&P 500 has already been taken, mostly by big banks and hedge funds. The time to put your savings into blue-chip index funds is not during the final stages of an old, tired bull market cycle. You’ve got to look elsewhere and find opportunities that money managers won’t tell you about. Entrepreneur and market expert Amir Adnani knows exactly where to find these opportunities. Amir is the Founder and Chairman of GoldMining Inc. (TSX: GOLD & OTCQX: GLDLF), located on the web at GoldMining.com, as well as the CEO, President, and Director of Uranium Energy Corp. (NYSE: UEC), located at UraniumEnergy.com. Fortune magazine has distinguished Amir on their prestigious list of “40 Under 40, Ones to Watch” list of North American executives; he has been celebrated by Casey Research as one of the sector’s leading entrepreneurs through a list known as “Casey’s NexTen”; and Amir is a nominee for Ernst & Young’s “Entrepreneur of the Year” distinction. Amir Adnani’s proven track record is merely one of the reasons that Wealth Research Group is delighted to have had the opportunity to interview him recently: when Amir speaks, investors listen. And what Amir is seeing now is a great time to move out of traditional Dow Jones-type stocks and into carefully selected gold miners. As Amir sees it, commodities are a hard-asset business and gold prices are cyclical in nature: ultimately, the price should find equilibrium at or around the marginal cost of production. According to Amir Adnani, we’re seeing a current situation in which gold prices are sitting at a ten-year low, but he is showing no signs of fear. In fact, he loves the cyclicality in commodities and relishes the opportunity to take advantage of the temporary dislocation between prices in gold mining stocks and what it actually costs to drill and develop a gold project right now. Clearly, the market doesn’t recognize the full value of these assets during bear cycles like we’re seeing at the moment. 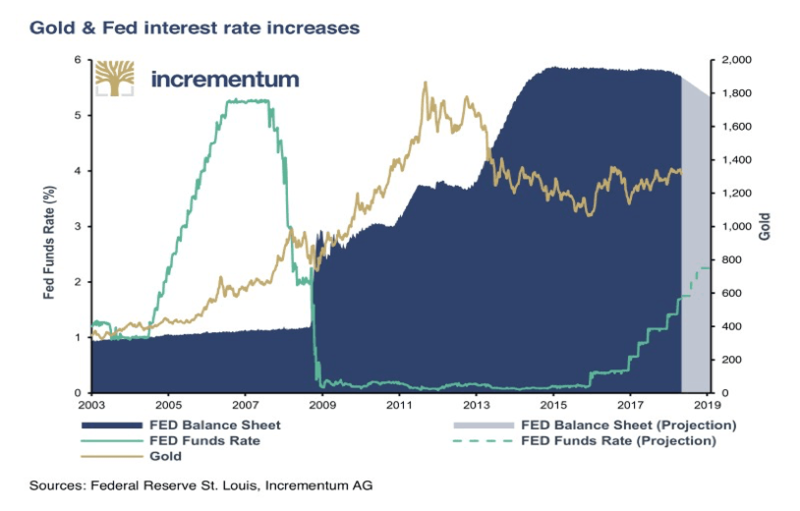 We observe that the Fed began hiking interest rates since late 2015, as well as reducing the size of its balance sheet in the fourth quarter of 2017 (a process known as quantitative tightening). 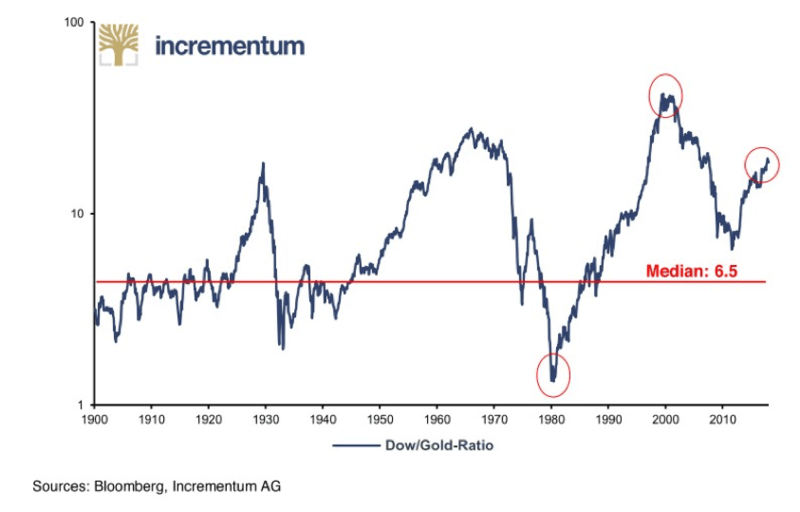 History has shown that rising interest rate environments are positive for gold prices – and market developments in recent years are testifying to this fact. We’ve got multiple resources to help you learn more about how to profit from the coming bull market in precious metals: Our Quintessential Gold and Silver Stock Playbook, our Report on Amir Adnani’s Top Companies, and our Guide to Under-the-Rader, Highly Leveraged Gold Projects – all available for download today. IT’S OFFICIAL: The Federal Reserve HATES Trump! PLAYING With FIRE: Trump Devastates USD! I'm in Europe right now because the key for the market's next rally is here.